Here’s a screen shot of an email I received the other day that claimed to be from Bank of America. I noticed right away that this thing was bogus. Look at it closely yourself. 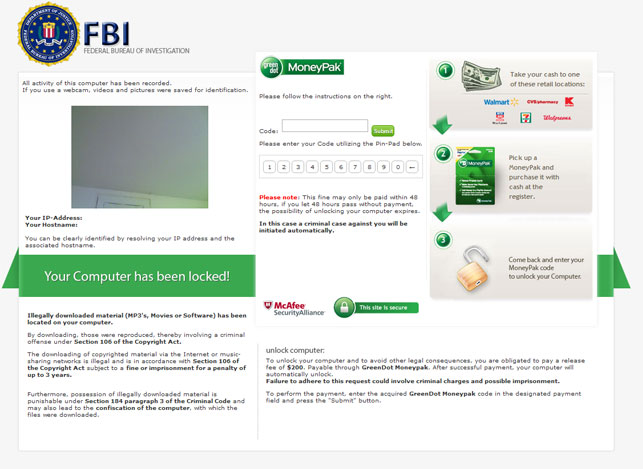 The most glaring give away that this thing is an obvious phishing scam perpetrated by someone whose mother tongue is certainly not American English is the header of the document in which the perps use of the phrase: Your Bank of America Accounts Has Been Locked. And even the rest of the text in this phishing spam attack reads like it was written by someone not entirely comfortable with American English. Naturally I didn’t click the link provided but I did some googleing and found that if I had I would have been sent to a page that looked like a Bank of America page that asked for my Bank of America username, password, security key, date of birth and the last 4 digits of my ssn. If a person were to fill that out and click “next” the page would close and that info would be sent to the crook’s servers giving them all they needed to wipe out that person’s checking and savings accounts. 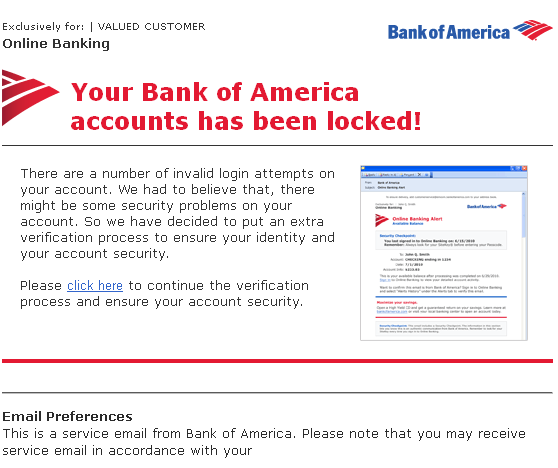 Google the phrase “Your Bank of America Accounts Has Been Locked” to investigate this phishing scam for yourself.